Did ‘Game of Thrones’ Confirm a Major Book Twist to Jon Snow’s Origin? Sunday’s Game of Thrones visit to “Eastwatch” was jam-packed with various jaunts across the map, to say nothing of reunions and returns. One particular revelation could put an entirely new spin on everything we thought we knew about Jon Snow’s past, and create a major conflict with Daenerys. You’re warned of full spoilers for Game of Thrones’ “Eastwatch” from here on out, as well as the theories surrounding George R.R. Martin’s books. Last season saw HBO confirm what many fans and readers presumed for years; that Jon Snow was actually son to Ned Stark’s sister Lyanna, who likely ran off with Rhaegar Targaryen as lover, rather than captive. Confirming Jon as a secret Targaryen would shock few fans, but “Eastwatch” introduced a major wrinkle to the Targaryen line that even books have scarcely suggested. As Gilly and Sam pored over old scrolls from the meticulous High Septon Maynard, Gilly read aloud that Prince Rhaegar secretly had his marriage to Elia Martell annulled in the process of a secret wedding to another. Sam was too preoccupied to pay the passage any mind, but fans and readers immediately recognized that if Rhaegar legally married Lyanna Stark, then Jon Snow (or whatever his Targaryen name is) would be a legitimate heir to the throne; one with a higher claim than Daenerys. As the line of succession goes, the grandson of the mad King Aerys regrettably has more support than the King’s daughter. Mind you, none of this means anything just yet. Neither Jon nor Daenerys have any awareness of their (increasingly amorous) relationship, and Sam has no reason to equate Jon with Targaryen history records. Jon and Dany’s romantic prospects might cool once the dragon’s out of the bag, but there’s no reason to think Jon would press his claim to the Iron Throne over Daenerys. 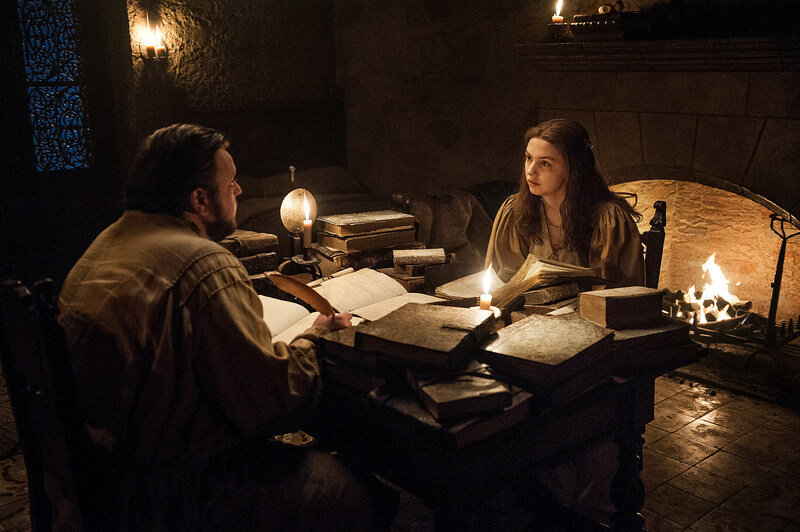 The revelation also raises questions of whether Martin’s remaining books will feature the same twist, as most rhetoric to date has suggested Rhaegar Targaryen and Lyanna Stark were lovers, but not necessarily married (and legally at that). Perhaps we’ll find out for certain when The Winds of Winter hits shelves in 2078 (sadly not a typo). In the meantime, read our review of “Eastwatch” at the link above, watch the trailer for Season 7’s penultimate episode below, and stay tuned for all things Game of Thrones. Source: Did ‘Game of Thrones’ Confirm a Major Book Twist to Jon Snow’s Origin?